USB61 SPI/I2C Protocol Emulator converts PC USB transactions to the SPI/I2C Bus. 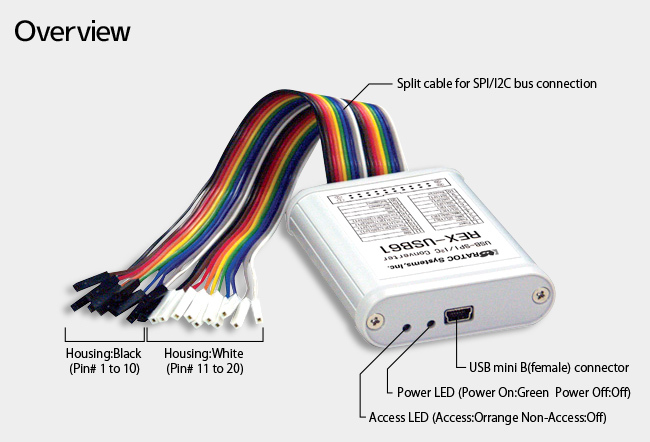 USB61 enables you to easily control from a PC a variety of devices with SPI/I2C Bus. 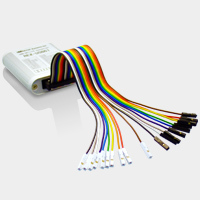 This product includes SPI/I2C control utility software. The SPI/I2C control utility can control SPI/I2C devices and GPO(General Purpose Output) signals. It also can save setting parameter and logging data to the file. * REX-USB61 can only use 1 device. On the other hand, REX-USB61M can use multiple devices.